On 25th September 2015, the Regional Department of Defense Resources Management Studies (DRESMARA) - Brasov celebrated 15 years of activity in a ceremony hold at the institution. 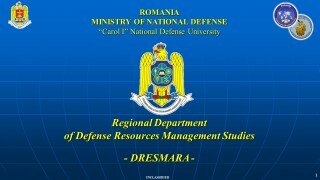 In 15 years of activity, DRESMARA staff has participated in educating more than 1,600 Romanian and foreign participants in strategic areas such as defense resources management and information resources management, preparing specialists able to manage all complex situations arising from the security environment changes. Also DRESMARA is one of the 29 Centers of Education and Training from NATO Partnership, accredited by NATO in 2007, being actively involved in the development of education in NATO. In 25 septembrie 2015, cu ocazia aniversării a 15 ani de la deschiderea oficială a DRESMARA, mass-media locală ( Buna Ziua Brasov și MIXTV ) și națională (Pro Patria din data de 27.09.2015 și Pro Patria din data de 11.10.2015 ) au prezentat mai multe materiale informative cu activitățile desfășurate în cadrul instituției pentru acestă sărbătoare. 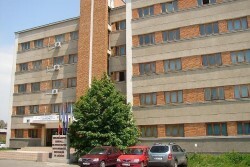 On 16th July 2013, DRESMARA’s director, COL Florin-Eduard GROSARU, has offered an interview to the broadcasting station Radio Romania – Brasov Antenna, presenting the institution as an academic and postgraduate educational structure of the National Defense University “CAROL I “, as well as a NATO Partnership Training and Education Center. 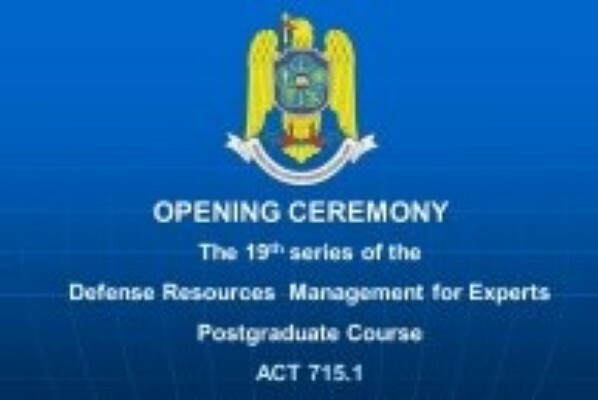 On 08th July 2013, DRESMARA’s director, COL Florin-Eduard GROSARU, has offered an interview to Romanian RTT Television, presenting the institution as an academic and postgraduate educational structure of the National Defense University “CAROL I“, as well as a NATO Partnership Training and Education Center. In October 2012 the local televised media from Braşov, broadcasted a material about DRESMARA’s opening of the new academic year, presenting the institution as an academic and postgraduate educational structure of the National Defense University "CAROL I", as well as a NATO Partnership Training and Education Center. In September 2012, DRESMARA’s director, LTC Florin-Eduard GROSARU, has offered an interview to Romanian online mass-media, presenting the institution as an academic and postgraduate educational structure of the National Defense University "CAROL I", as well as a NATO Partnership Training and Education Center. 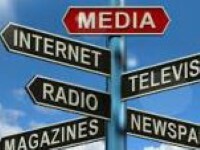 On 21 June 2010, the DRESMARA's director, LTC Florin Eduard GROSARU was invited in the "Mix Actual" TV program of the "MIX MEDIA GROUP" press trust of Brasov, hosted by ms. Onelia PESCARU. During the program, which was called "NATO courses in Brasov", various aspects were discussed, such as: the national and international DRESMARA activities, educational offer, main achievements, as well as the institution's future plans and projects. 1. Brigadier MUHAMMAD ZAFAR IQBAL - Pakistan, participant in the Postgraduate Defense Resources Management Course for Senior Officials. It was truly an honor for me to be in Romania and DRESMARA. Wonderful and very caring people looked after me in every respect. I got immense love from everyone. Memories of DRESMARA are my treasure for life. I would always cherish the time spent there. My worthy teachers, fellow colleagues and people of Romania are wonderful. I am sure that DRESMARA and Romania will further progress in every field. Moreover, I will take this opportunity to inform you that I have been promoted to the rank of Brigadier since August 2014 and posted in General Headquarters in General Staff Branch. In the end, I will once again to thank to all my worthy teachers and loving fellows for the care, support and love. I learnt a lot in DRESMARA. I hope and pray that DRESMARA continues to spread the light of knowledge and wisdom, Ameen. Long live Romania and DRESMARA. Thanks again DRESMARA! Mrs. SPERANTA SAVU, participant in the Postgraduate Defense Resources Management Course for Experts. LT. ANA-MARIA TAMAS, participant in the Information Security Management Postgraduate Course. CAPT. ADRIAN CROITORU, participant in the Information Security Management Postgraduate Course.